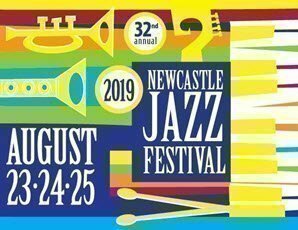 The 23rd – 25th August 2019 sees the staging of the 32nd Newcastle Jazz Festival. The diverse choice and smorgasbord of music and the very affordable ticket prices, representing incredible value for money, are the keys to the festival’s continuing success. More than one hundred musicians are participating and they will present a total of 50 hours of music on the Friday night, Saturday and Sunday of the festival. The venue is the fabulous Wests Leagues Club and Bowling Club where music will be on four stage areas across the weekend. The Wests Club has a large bistro, 3 coffee shops and a number of specialty restaurants to cater for all tastes. The New Lambton village shops are a five-minute walk. The diverse range of music includes trad, mainstream and contemporary jazz, big bands, swing and some blues, jazz vocal groups and jazz/boogie piano. A dance floor in West’s Starlight Room will cater for those who like to move to the music. Brought to you by:Newcastle and Hunter Jazz Club Inc.